Update: Smoke had a revamping of their menu some time ago. Out with the market style by-the-pound barbecue menu and in with more innovative, if not traditional plates of smoked meat. 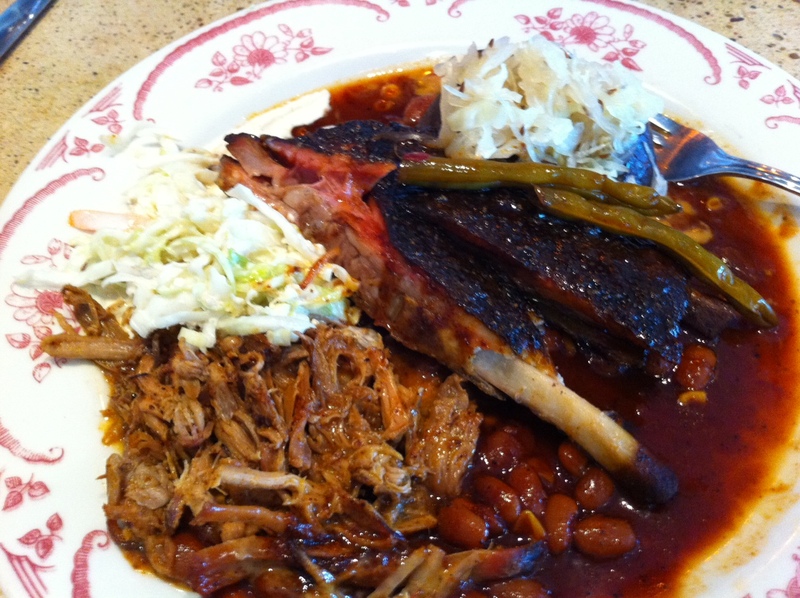 The lunch and dinner menus both feature these smoked meats in different combinations. For lunch, pulled pork and andouille share a plate with two sweet glazed spare ribs. Well spiced beans and pleasantly mild homemade sauerkraut round out the plate. I enjoyed this lunch as the bar as I talked with Chef Byres about travel options in the heart of Mississippi that he discovered on his BBQ sojurn. I was only slightly embarrassed that I had to take out my camera to snap a shot at the plate, but I think he understood. The pork was truly pulled and lightly covered in an East Carolina style vinegar sauce. The meat had great flavor, but was missing smokiness that some nice outside brown bits could have supplied. My love for the homemade sausages here is no secret, and today's andouille was no different. Ribs were smoked a bit beyond tender, but the fat was nicely rendered out and the meat was beautifully moist. A sweet glaze added to the meat post smoking gave these ribs great flavor without diminishing the nice smoky flavor in the bark. On another trip I tried the brisket. It has gotten a lot more fancy, but the flavor has also improved dramatically. Both sliced and chopped beef come piled atop a pile of sauteed peppers, onions and potatoes. A couple thick slices of paprika and fennel sausage were a nice accompaniment to the plate. The sliced brisket had been oddly dusted with a dry rub, but it didn't overpower the meat that was just smoky enough. The slices had some fat left on, but it could have been better rendered with more time in the smoker that would have also tenderized the beef a bit. Chopped beef was juicy with bits of nicely melted fat and a little sauce to round it out. The improvements in the meat have made this selfish blogger happy to have another good option just a few minutes from Uptown. Is that cabrito I just noticed on the menu? 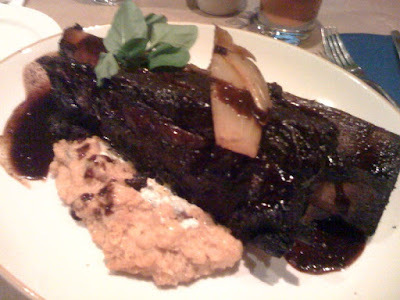 11/2009: Chef Tim Byres has been getting quite a few accolades over "The Big Rib" on Smoke's dinner menu. The whole beef rib bone spans the plate from end to end with smoked onion and gorgonzola cheese grits served alongside (not your usual 'cue accompaniment). An earthy sauce with a hint of mint is drizzled on top. The meat is piled high atop the whole short rib with plenty of fat and membrane mixed in. Short ribs are the last few ribs on the cow which are shorter than the rest. They are generally cut into thirds so they appear to be only a few inches long. 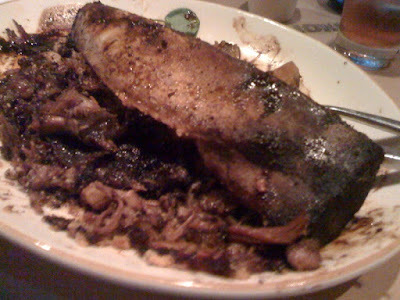 The short rib at Smoke hasn't been cut down, so it remained its natural length of about a foot long. Because of its high amount of intramuscular fat, short ribs are prime candidates for long braising to break down all that fat, something that low and slow smoking can accomplish as well. As I dove into the meat, I could taste the well formed smokey crust on all sides of the meat. With so much surface area, there was a punch of flavor with every bite that was reinforced by the robust sauce. All the work to remove meat from fat was worth every satisfying bite. After dinner I ordered a sliced brisket sandwich to-go to gauge how the brisket preparation had progressed in the past month. While waiting, I inquired about the country hams that are available for the holidays, and the chef provided a sample with a cheese biscuit and a portion of fresh honeycomb, which was an unexpected surprise. This house smoked ham has an intense smoke flavor which married well with the intensely sweet honey. Available as a dinner appetizer, I recommend it on your next trip to Smoke. What I cannot yet recommend is the sliced brisket. The slices I received on my to-go sandwich were so overcooked and dry that crevasses had begun to form in them. The meat had a thin sauce applied against my wishes, and even it could not moisten the meat to an appealing level. The flavor had a hint of smokiness, but the dry meat just was not appealing. From past visits, I know they can do better, so it was disappointing to see the inconsistency. Hopefully the excellent beef rib remains so on my next visit, because I'll surely be ordering it again. One final note - many diners (myself included) had noticed their clothes smelling much like a campfire after dining at Smoke. On this visit, the overwhelming smokiness had cleared thanks some additional ventilation in the kitchen. It seems that this problem has been remedied, so feel free to get some lunch even if you don't have a change of clothes back at the office. 10/2009: This new joint has more hype than nearly any restaurant that has opened this year in Dallas. 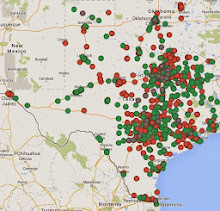 Such is the sad state of BBQ in Dallas, and the thirst for quality 'cue by Dallas residents. I've enjoyed a lunch and a take home dinner to see if all the fuss is warranted. As we sat at our family dinner table, my wife noted "your clothes smell more like smoke than the meat." She had a point. Not even a five minute stop at the bar to pay my tab was a short enough trip to escape the clutches of smoke on every inch of my clothes. If you plan to come here for lunch, expect everyone at the office to know you had 'cue for lunch. All of that smoke comes from the Dallas made Bewley smoker (not "Bowley" as reported by the Observer) that sits in the kitchen. This smoker churns out a plethora of smoked meats, including a duo of house made sausages. Over the phone, I ordered both sliced beef and pulled pork sandwiches, 1/2 lb of ribs and an order of fries. At home I discovered a chopped beef sandwich and a $10 mound of overly sweet and overseasoned fries alongside the expected pulled pork and ribs. Chopped beef is generally a fail safe option for presenting brisket. The smokiest morsels of beef are chopped up with fatty trimmings to create a saucy, smokey treat. This beef had all of the flavor and texture variation, but the smokiness was missing. Both sandwiches are served on a homemade honey bun, which is a nice touch. It could have used a lighter touch of sweetness, but it was a tasty bun. Like the brisket, pulled pork was also missing the smokiness, but it was flavorful with a hint of spiciness from the sauce. The sauce was sweeter than expected for Carolina style as it is described on the menu. Another menu misnomer is the "dry rubbed" spare ribs. These ribs are St. Louis style rather than true spare ribs, and the a dry rub may exist under its candy coating, but any of its flavor is masked by the overly sweet glaze that is too generously slathered on the ribs. A greater degree of smokiness could be found in these portions of pork from the now soggy crust, and the perfect texture let you know these were cooked to perfection. If only the meat were allowed to shine through. During a lunch visit with a friend, I was spotted (full disclosure, I know the owners and am acquainted with the chef, and they are anticipating this review). Service was impeccable, including a stop by Mr. Jeffers to note that he was unhappy with the spicy sauce, so was removing it from the four pack that sat on the table. Yes, that's four sauces that were offered. The aforementioned spicy along with a sweet version, a honey mustard and a spicy Carolina style sauce. I hardly knew where to start, so I just ate the meat. 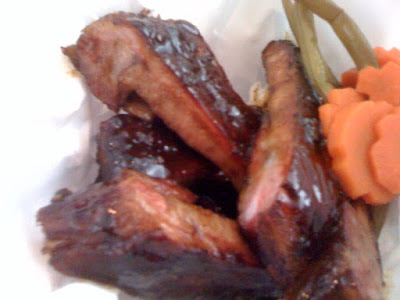 More sweet glazed ribs were piled in a basket along with carrots and green beans that are pickled in house. Brisket (not pictured) arrived sliced as ordered. The slices had a well formed crust and a meager smoke ring. They had not been tainted with BBQ sauce, but each slice had been moistened with a subtle thin sauce before being served. The meat was tender without being mushy, and the flavor from the rub was robust and complex. What was missing was fat of any sort and that namesake smoke. Sides of beans and slaw were inventive and respectable, but it was the fennel sausage that I'll be coming back for. The meat was finely ground with a punch of flavor from the mixture of fennel and paprika. The casing had a nice snap and the overall flavor was intense, but it could have used a little more...you guessed it...smoke. By all means drop in for some quality grub while if you're in the neighborhood, but travelers from afar should probably hold off until the pit gets seasoned and this joint lets the smoke settle in. With a few tweaks, I think they'll get there soon. What were some of the places he mentioned in Mississippi? I'll be heading that way in a few weeks. Anything near Starkville? I have to say I have been disappointed by this place. The hipster doofus hype factor has, admittedly, been a turnoff that probably predisposes my read on this place. But I sure wish they would focus on learning how to smoke meats properly. It seems to me they try to fancy things up a little to cover for the lack of prowess in the key department - the meat. Time will tell and I am a traditionalist. At least you are not all 5 stars on them like some other reviewers. Had lunch here yesterday and I had been looking forward to it. I ordered the same brisket plate with sausage, pepper and onions shown in the review. It's an adventurous plate but the execution fell short. I lifted a slice of brisket to see if it would fold over a fork with out breaking and it didn't fold at all. 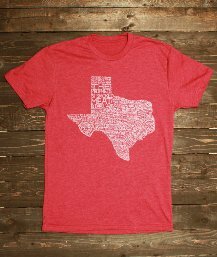 More like brisket jerky. With powdery dry rub all over it. The chop was good, a little vinegary, the sausage interesting, a fine grind cooked very firm and the peppers and onions were tasty but oily. 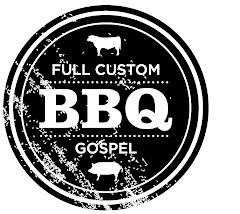 I really like the idea of elevating barbecue to a foodie level but that brisket has got to be right. Brunch is the true winner at this place. I love their take on biscuits and BBQ sauce gravy, and the absurdly thick cut bacon is fantastic.